Welch Construction can offer a wide choice of new homes from all of the leading manufacturers. 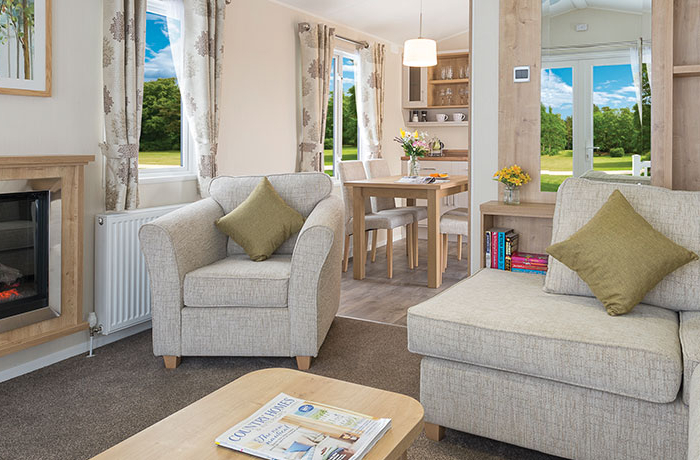 W elch Construction is the leading supplier of park homes and luxury lodges. All of our homes and lodges are built to residential standard BS 3632. This means they are suitable for residential use throughout the year and are built to last at least 50 years! All homes and lodges built to this standard are required to be energy efficient and also come with a long-term structural warranty giving you peace of mind. Our interiors have a choice of intelligent floor layouts to suit individual needs and are right up to date with stunning interior design. All homes come with quality branded furniture, white goods, double-glazing and central heating as standard. Many of the homes also include luxurious features such as Porcelanosa tiles, rain drench showers and integrated appliances. Enjoy life to the full in this idyllic location on the dramatic Scottish coast.